This article outlines our proposal to join forces with music-oriented blogs to achieve multiple goals – promotional support for Resonate, a new revenue stream for curators and the creation of a new delivery scheme for blog content. 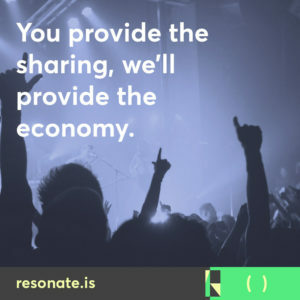 Through our innovative #stream2own system and intention to build more robust music communities, Resonate envisions creating a fully immersive music experience that extends beyond simply streaming the latest indie music. While the music player is the core of the application, the possibilities for incorporating additional content channels are plenty. One area we’re particularly excited to explore is partnering with music blogs. Compared to the total lack of similar opportunities from our competitors, blogs should be sufficiently incentivized to feature Resonate playlists over other services. One thing music blogs suffer from once they reach a certain level of success is over-saturation of content submissions. While it won’t immediately be available when we first launch, Resonate plans to offer curators some very advanced tools for managing submissions. Imagine redirecting all music submissions to us, encouraging bands to submit content to you directly thru their own Resonate dashboard. This content then shows up in your own personalized curator inbox. Filter by personal relationships (preferred PR or industry contacts), artists with growing buzz-metrics or totally undiscovered artists. Then imagine being able to very quickly approve, rate, reject or send feedback to artists. With the Resonate curator dashboard, you’ll never manage song submissions by email ever again. All content will be embedded at various layers of our stand-alone application – interviews and reviews being accessible in artist sections, analysis of specific genre trends appearing in those categories and broader cultural pieces appearing at the top level. Members will pay micro-payments for reading content. Writers will be able to set their own prices and Resonate will take a 20% cut. Considering the growing popularity of ad blockers, this could provide a significant source of additional revenue to blogs. Given that Resonate is structured as a cooperative – which present presents a significant investor problem as a #platformcoop – we will need to raise on-going development funds through the crowd. To drop an old cliche, this is where you come in. Blog owners that create and promote Resonate-related content within their existing sites during this early phase will receive featured placement in the app when the full service launches. 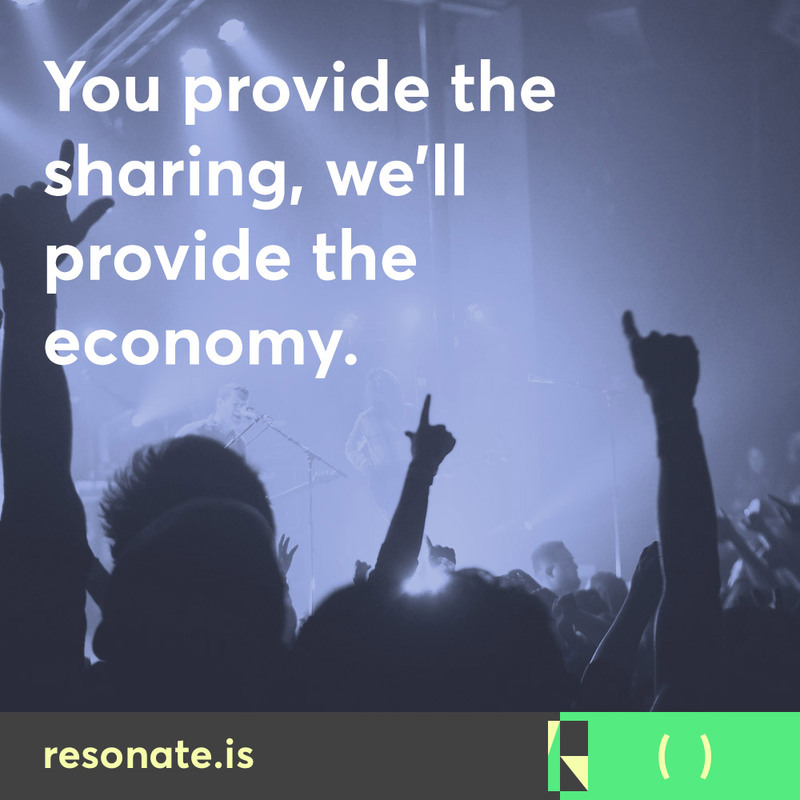 Participating blogs will also enjoy 100% micro-payment revenues for the six months year; Resonate will take a 20% cut thereafter. Interested parties may request access to this program via our contact page. *This requirement ONLY applies to receiving featured status after launch. 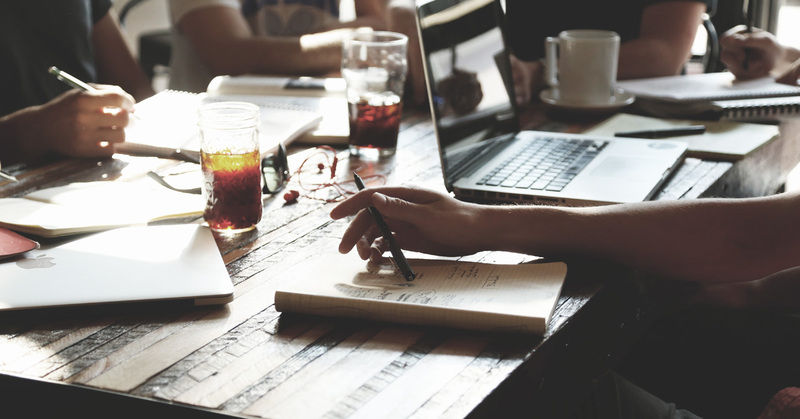 All eligible blogs will be able to join the embeddable player profit-sharing program.